You can download the original PDF and view it in its intended presentation format. 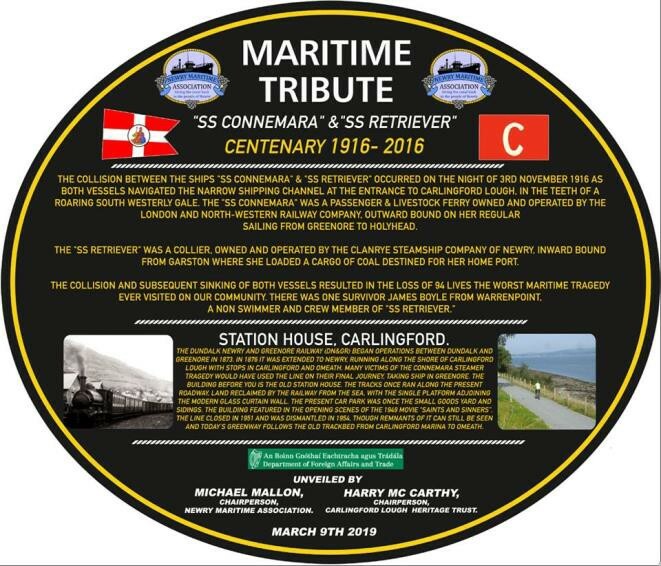 Carlingford & Cooley Tourism Assoc. 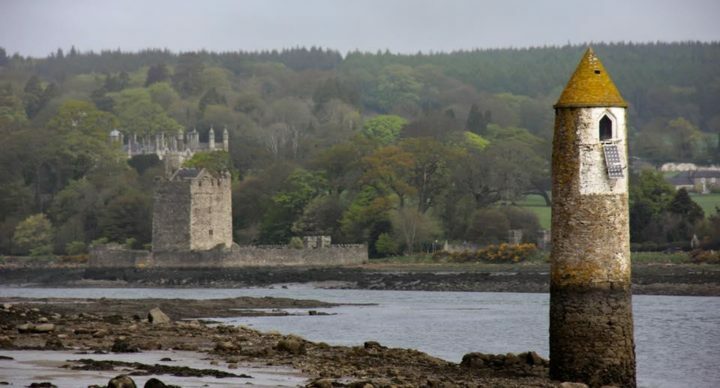 The Community of Carlingford and the Cooley Peninsula was deeply saddened by the events of two weekends ago when three young visitors tragically lost their lives. Our sympathy goes to the families, relatives and friends of the deceased, Ruth Maguire, Shane McAnallen and Martin Patterson. A large crowd attended a candlelight vigil in their memory on Sunday evening last when prayers were offered by Fr. Brian Mac Raois P.P. May they Rest In Peace. 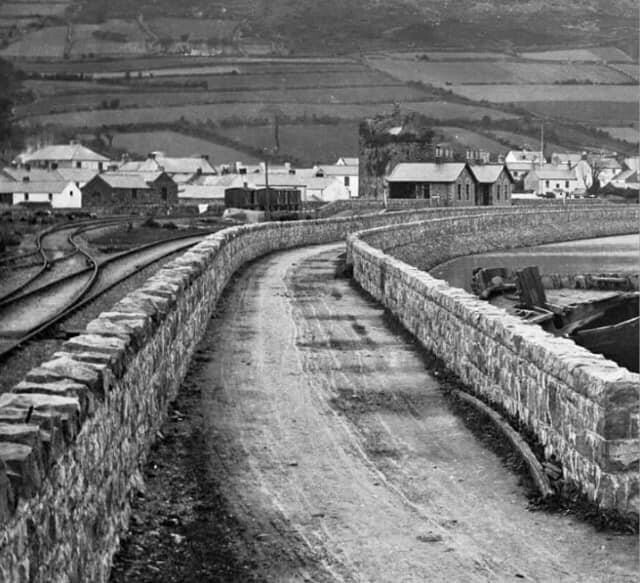 The Forum has had further engagement with Louth County Council to consider alternative solutions for the extension of the Greenway into Carlingford. These discussions are ongoing and we hope that while this phase may not deliver the outcome that the Forum would aspire to, it will hopefully differ from the original proposal presented at the consultation process held in February. We will not be applying to the Heritage Council for grant aid for further work on the Public Realm Plan at this time. 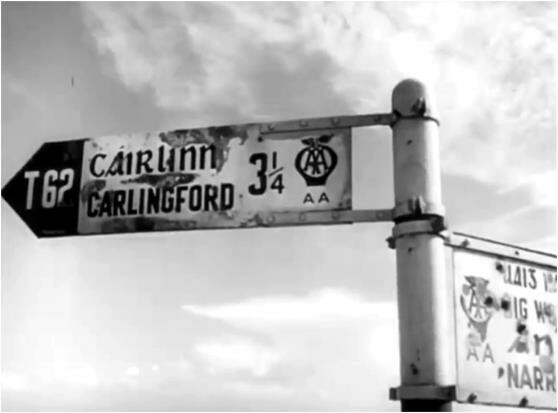 Renewed engagement with Louth County Council regarding a ‘Design for Carlingford’ will be necessary before we proceed further with the process. This would then assist with funding applications for things like amenity area improvements, signage etc and would provide us with a reference point for future development. First spring concert sold out! The spring concert series has got off to a good start with a complete sell-out for the first event – local award-winning band ‘The Four of Us’ – scheduled for Sunday 7th April at 4pm. 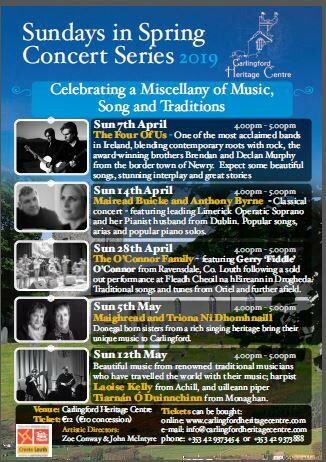 The four other concerts are also of very high quality so book now to avoid disappointment. 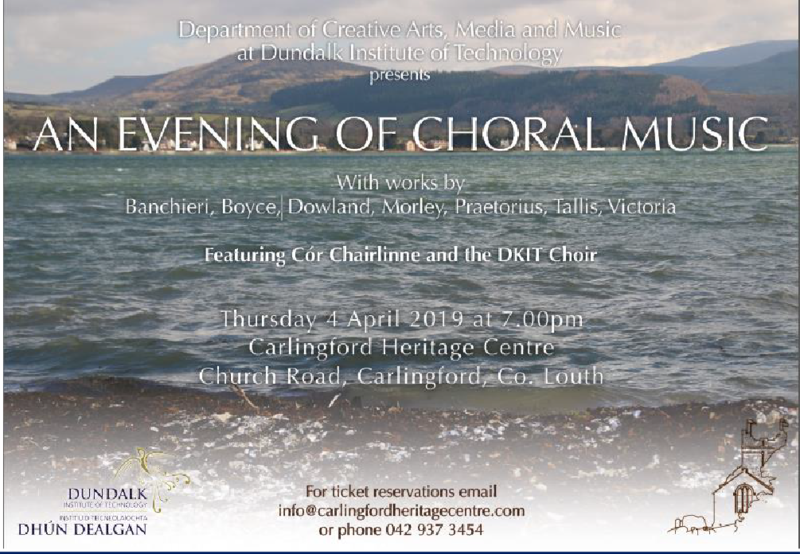 As part of our ongoing collaboration with the creative people who work in Dundalk Institute of Technology , “An evening of choral music” will take place in the Heritage Centre at 7pm on Thursday 4th April. 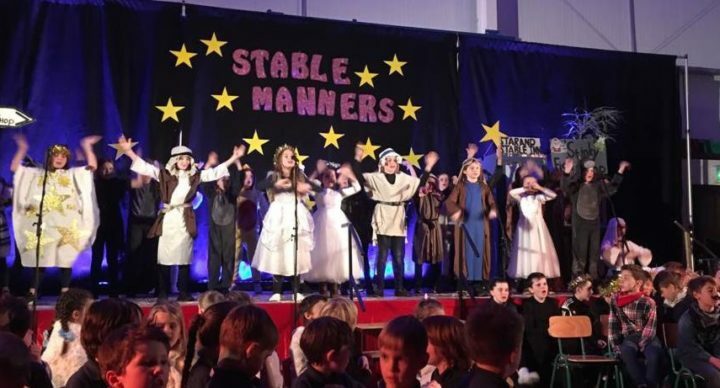 This is a joint presentation by Cór Charilinne and DkIT Choir. photographers. It is hoped that the Men’s Shed and the nursing home will take part along with local artists. The works will be for sale at modest prices. We have a particular interest in encouraging attendance and support since purchases will directly help support the work of the Trust. A series of other events will take place during the same week which will be notified in the next newsletter. 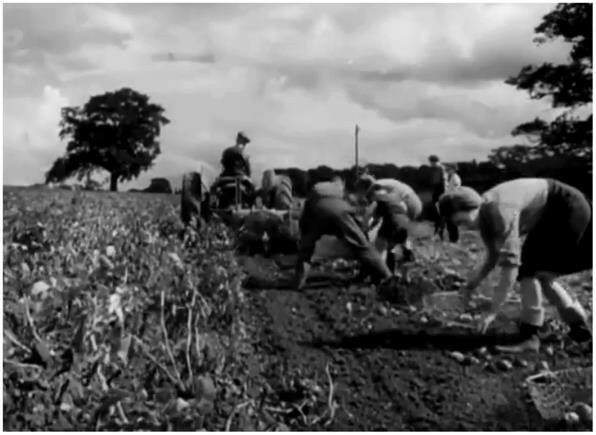 Heritage Trust (CLHT). 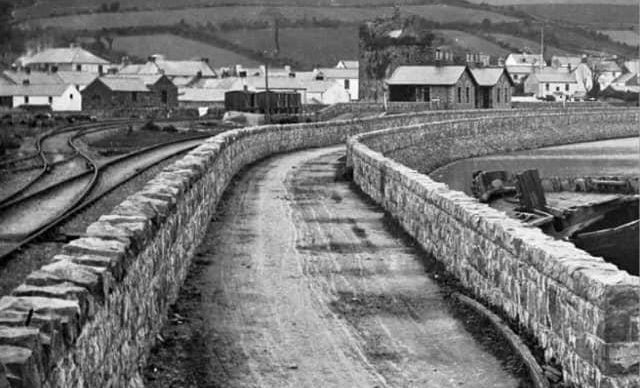 Ninety-four lives were lost in the collision at the mouth of the lough. 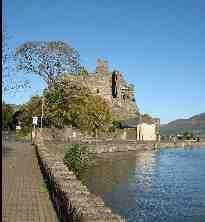 The sole survivor, James Boyle from Warrenpoint, was a non-swimmer. held in the town throughout the year. 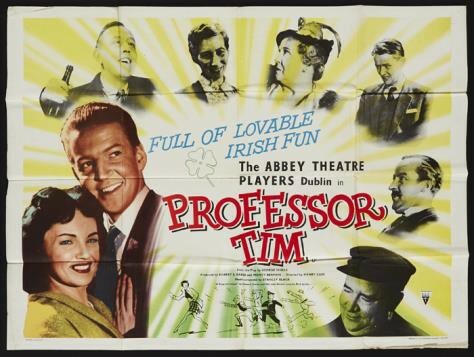 Rehearsals are well underway for the production of Professor Tim. 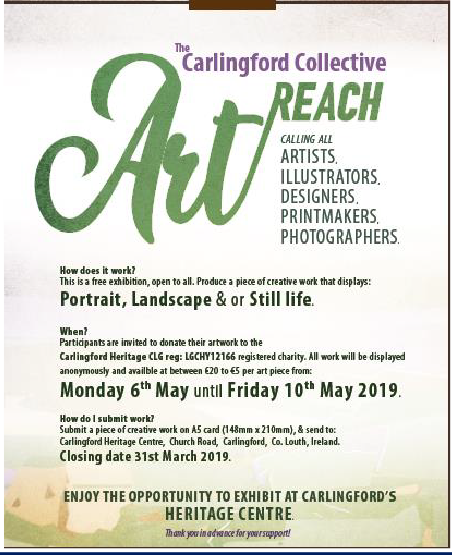 The date has been changed to Friday 3rd – Sunday 5th May. You will be guaranteed a great night of laughter and fun in The Foy Centre. Keep an eye out for tickets going on sale soon. 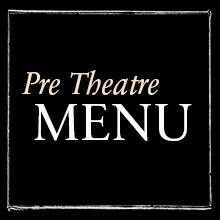 The Orchard Bakery will be offering a pre-theatre menu. Why not make a night of it – come along for some delicious food followed by a great night of laughter. We are now well into Spring and starting to look forward to Summer. 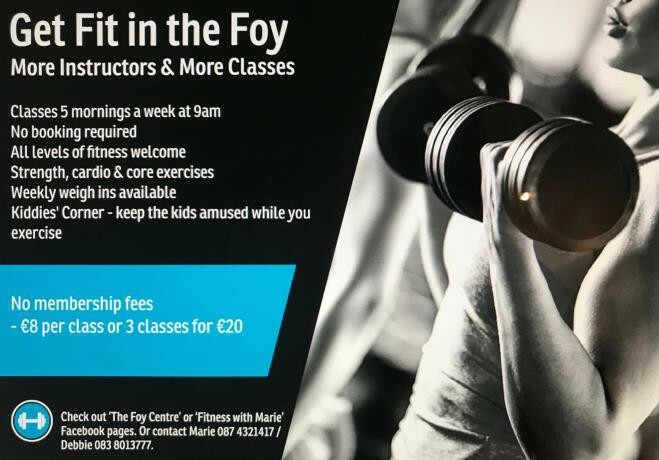 don’t forget fitness classes are every week day morning at 9am. Classes can be tailored to suit all levels of fitness and all ages. your way to the Foy Centre straight after drop off – make time for yourself! If you still have toddlers at home – don’t let that stop you. We have a kiddies corner with lots of toys. Let the kids get entertained while you work out!! The next pop up night will be held on Friday 19th April. For bookings contact Jonathan on 086 1956878. Check out the Orchard Bakery Facebook page for their menu or further details. 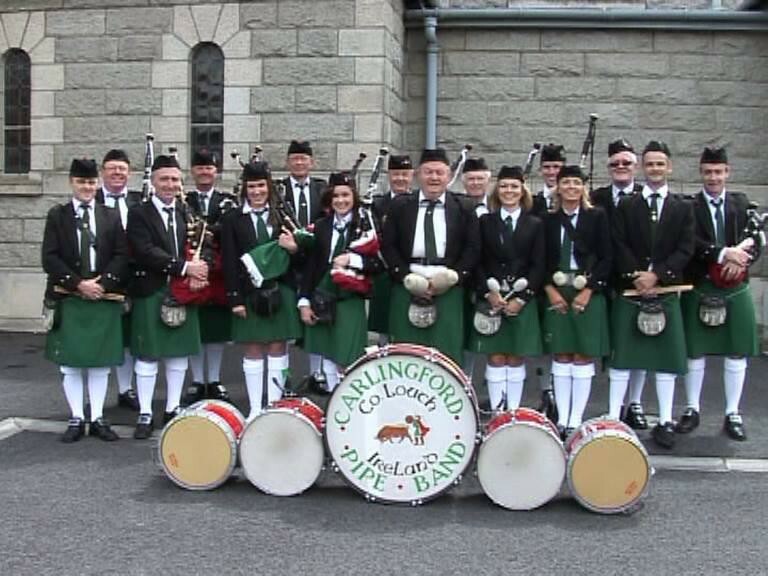 Preparations are well underway for the annual Cooley Legends Half Marathon and 10km run. 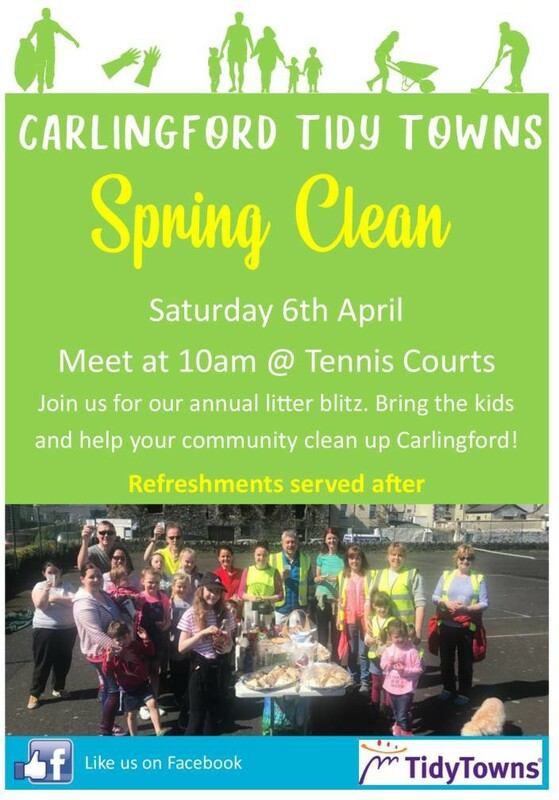 This will commence on Saturday 6th April. Registration will be held in the Foy Centre on Friday evening (5th April) from 7pm to 8pm. We advise all runners to try and check in at this time if possible. You can also register on the morning of the race from 8am. Buses will leave the Foy Centre at 9.15am sharp for the Half Marathon and 9.55am for the 10k. 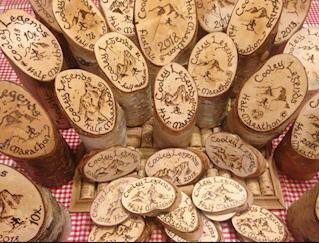 Check out the Cooley Legends Half Marathon Facebook page for more information. If there’s anything you would like to see happening in the Foy or you are interested in hiring the hall or the pitch in 2019, please get in contact with us. We are feeling proud! 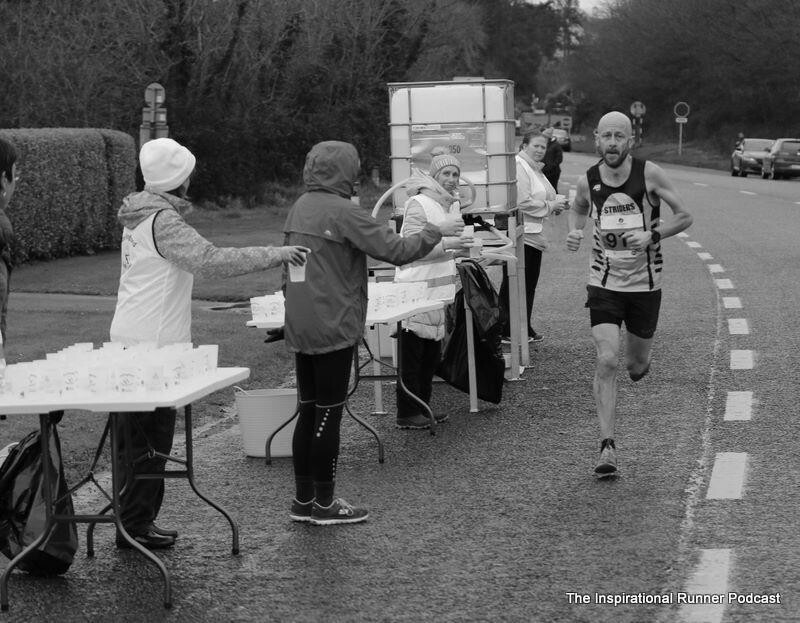 Four years of Zero Waste by manning this water station at The Carlingford Half Marathon. Big events don’t have to create waste. Here we prevented 3000 disposable cups from going to landfill by substituting with a reusable alternative. You can also borrow these cups form CTT for your sporting or community event. 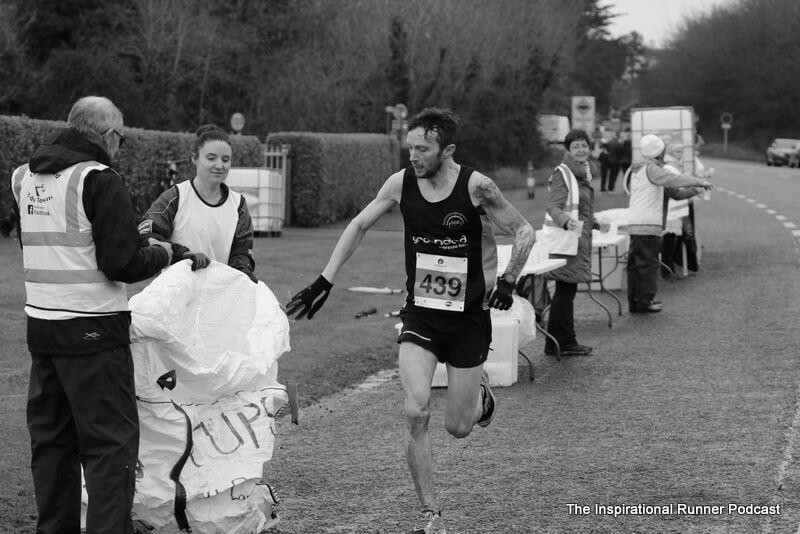 Best of all no clean-up was necessary as the runners were happy to pop the cups into large bags thus keeping the course clear for running! 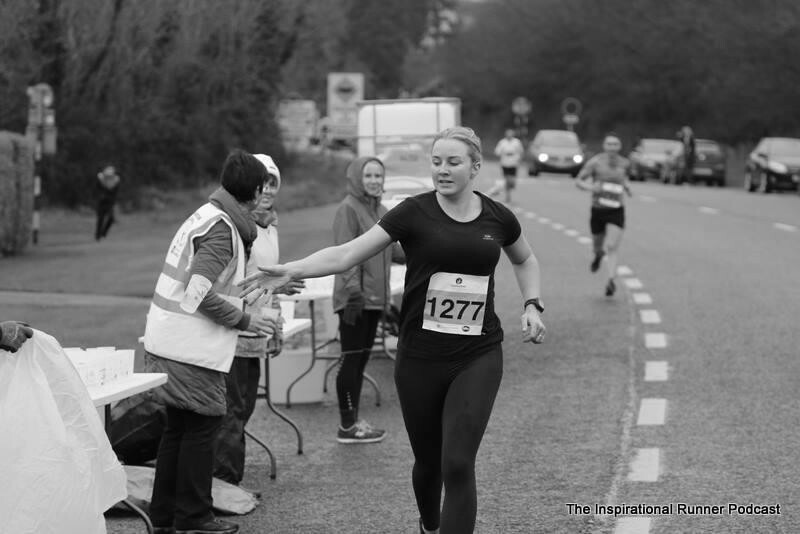 Have a look at ‘The Inspirational Runner’ podcast on our Facebook page. 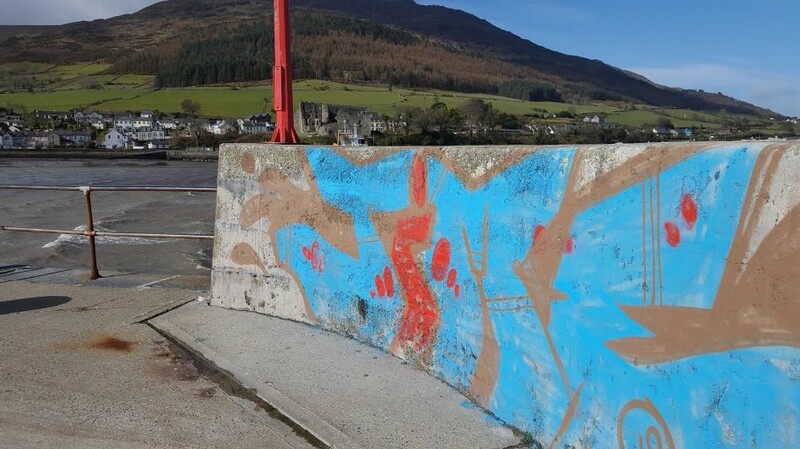 We had to take some action to obliterate this graffiti on the far pier as quickly as possible to demonstrate that we will not tolerate this unsightliness in our public spaces in Carlingford. 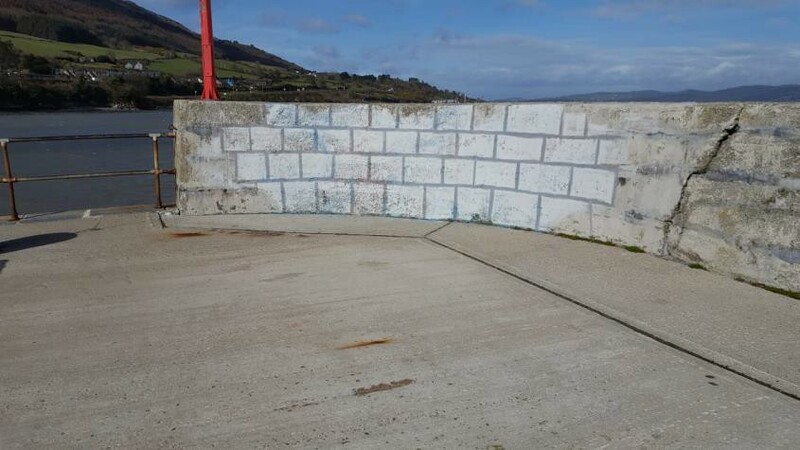 Since it would be difficult to get a high-pressure washer to the end of the pier, we had to paint it out with a hopefully less eye-catching brick pattern. We would hope that parents will speak to their children about not defacing the town in this manner. Our volunteers can then spend their time more constructively than cleaning up after such unnecessary damage to public property. 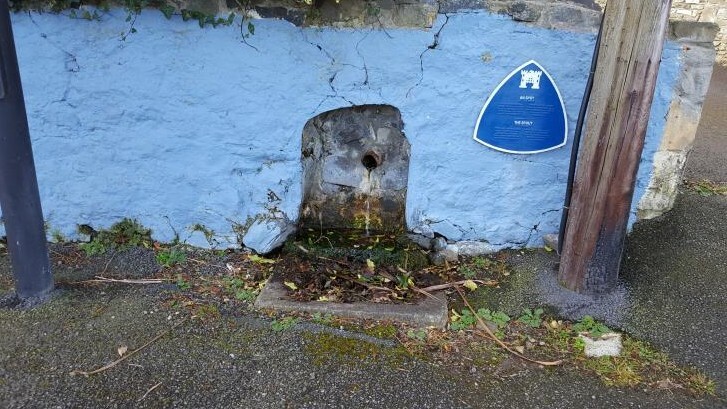 For example, there are other places that can do with a facelift – such as the spring on Back Lane. 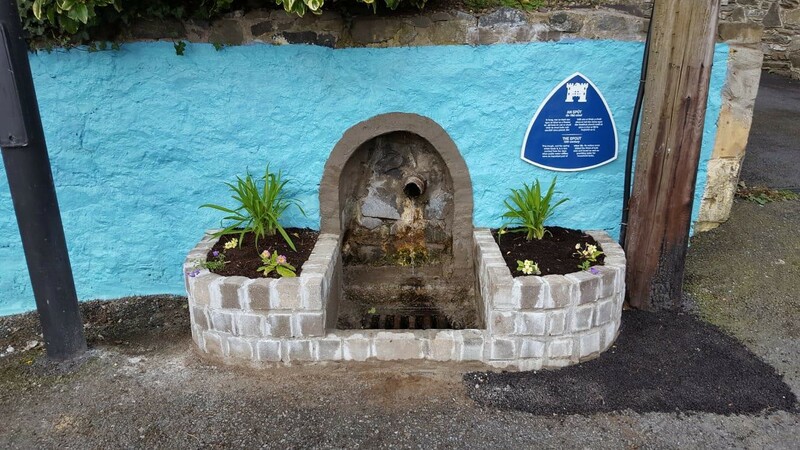 Over the years we have placed plant pots either side of it and added features such as old-fashioned watering cans etc. but these are not appreciated and soon get stolen. 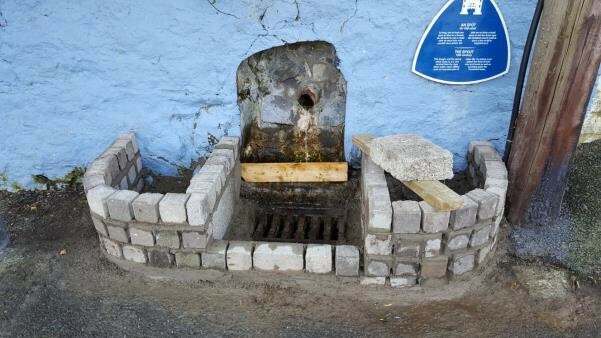 We therefore decided to build brick planters either side of the feature and to repair the walls and tarmac. 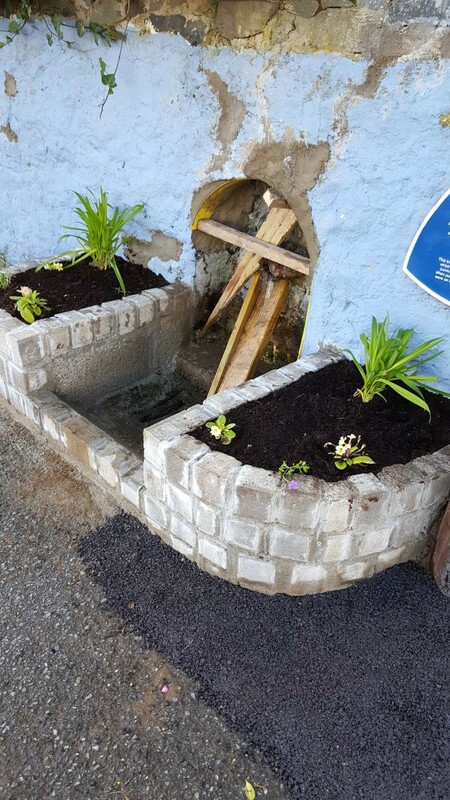 Once the blocks had been pointed up, the two containers filled with soil and a few plants installed the whole feature started to look a little more pleasing, especially when the broken ground to the right had also been filled with tarmac. 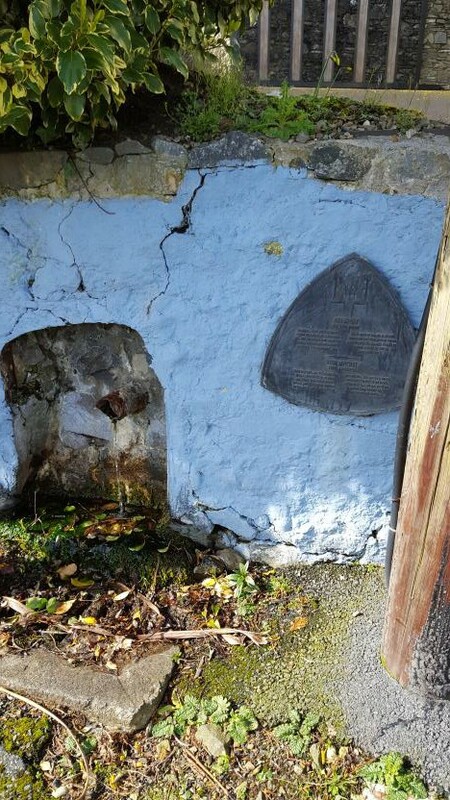 from the mountain, and give the wall a fresh coat of paint – voila, a feature to be proud of! 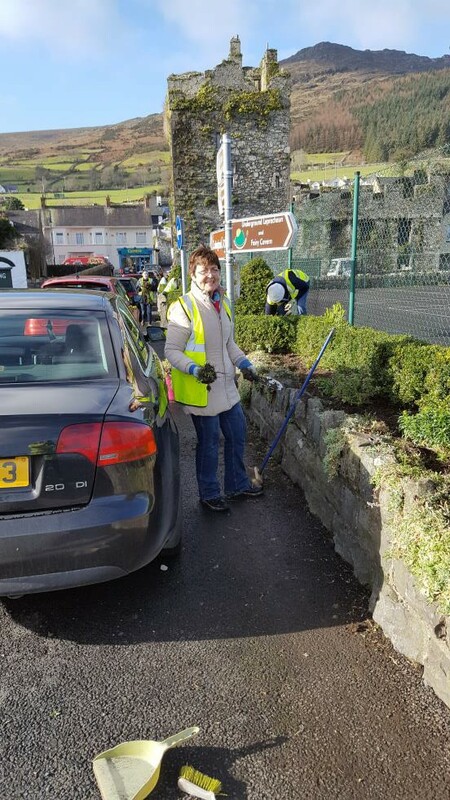 Several Tidy Towns volunteers came out on Monday 18th March to plant perennials around the tennis courts. This is quite full of plants now and should hopefully provide a year-round show of colour and require little weeding in the future. We then went on to the flowerbed near the bottle-bank and filled this area with taller perennials, most of which are also good pollinators for attracting insects. 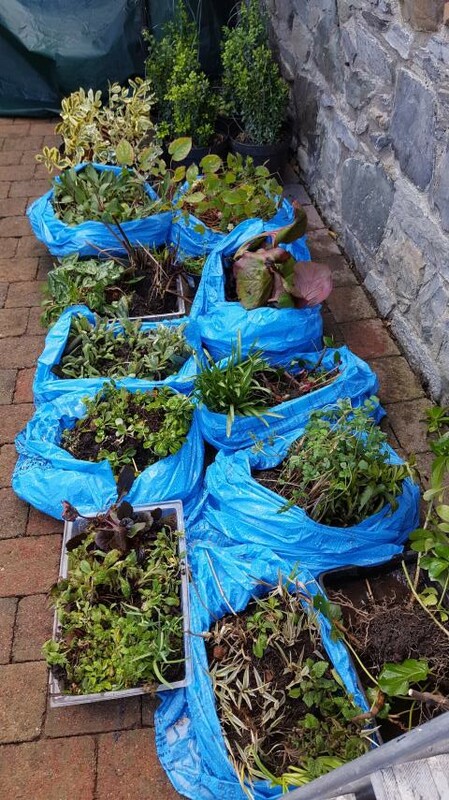 We planted wild pink cyclamen, ground cover plants and a hebe in the boat and replaced two pieces of laurel hedging close to the bottle-bank that had gone missing. We then embarked upon our main project this spring, that of replacing the two picnic tables on the green. 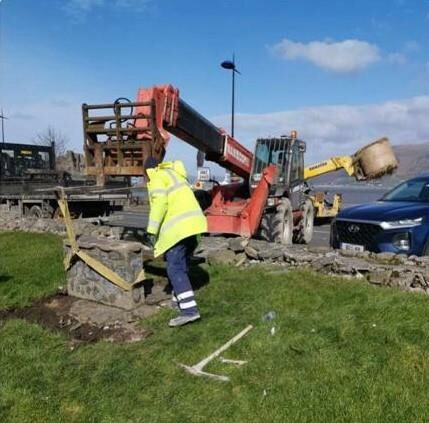 The previous week we had arranged with property developer, Pat Johnson, who is currently working to complete the houses on Ghan Road, to remove the old tables with the aid of his heavy machinery. 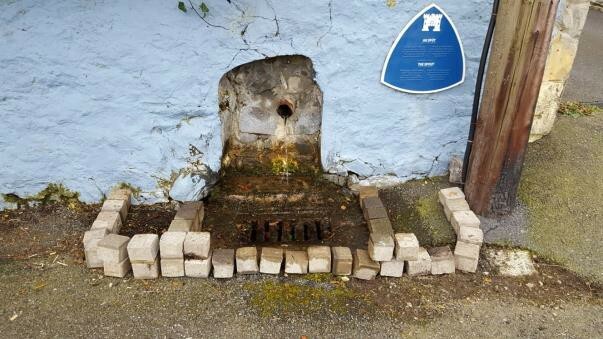 We are very grateful that this work was undertaken professionally yet free of charge as a service to the town. Note: the old picnic tables will eventually be reinstalled on the green space to the seaward side of Ghan Road which lies in front of the new houses. 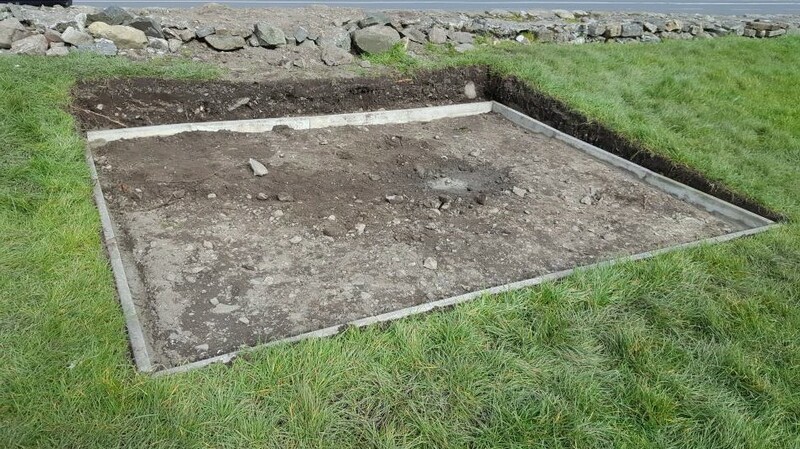 So, on Tuesday 19th March, we were able to commence work to build two 3.6 x 2.7metre, hard standing, bases to receive the new picnic tables. 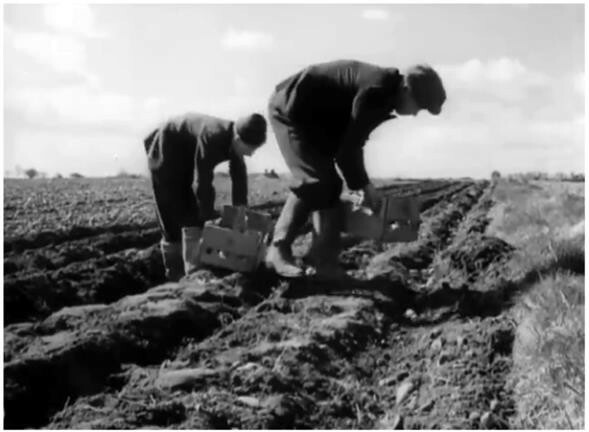 The excavations began and eventually kerb was laid to provide a flat surface. Note: later on we will attend to the slope so that a gentle way onto the flat surface is achieved rather than the ‘cliff edge’ you can see at present. More soil was then removed so that gravel could be poured to form a hard surface. 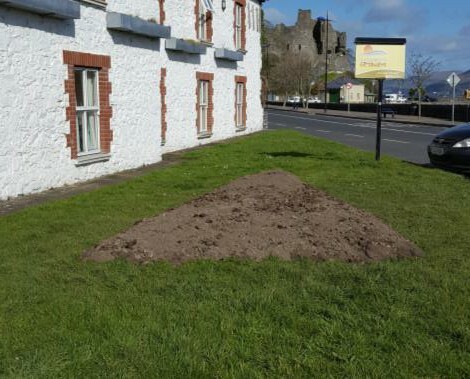 The turf and soil that was removed above, was then reutilized to form a triangular flowerbed in front of ‘Getaways’, with the owner’s permission. 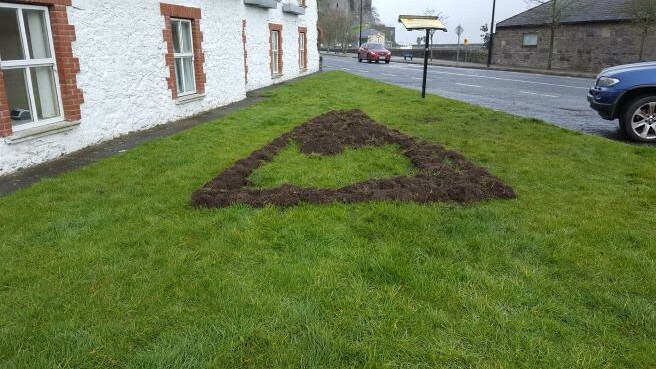 Several of our volunteers came out again on Saturday 23rd March to spread manure obtained from the Equestrian Centre at Ghan House onto the bed and finally add more topsoil. 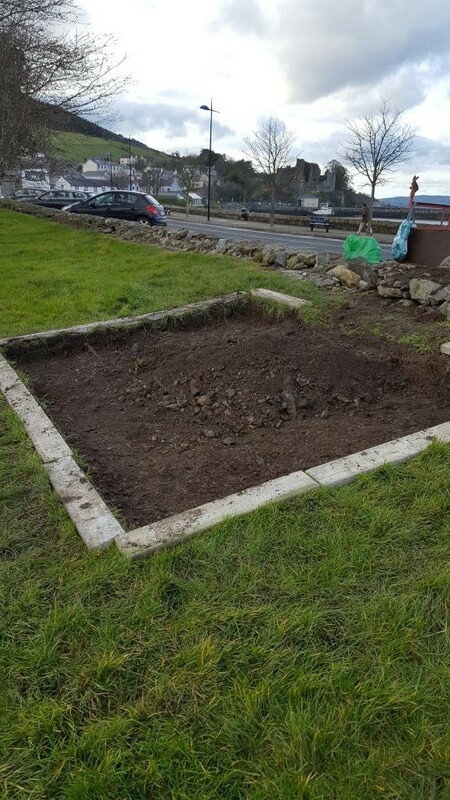 We intend to plant up this bed with pollinator friendly daisy type perennials such as White Crazy Daisy (a chrysanthemum), Rudbeckia, Echinacea, and Michaelmus daisy etc. in due course. Knight’s Rugby juniors will be joining us – so why not come along and take part! 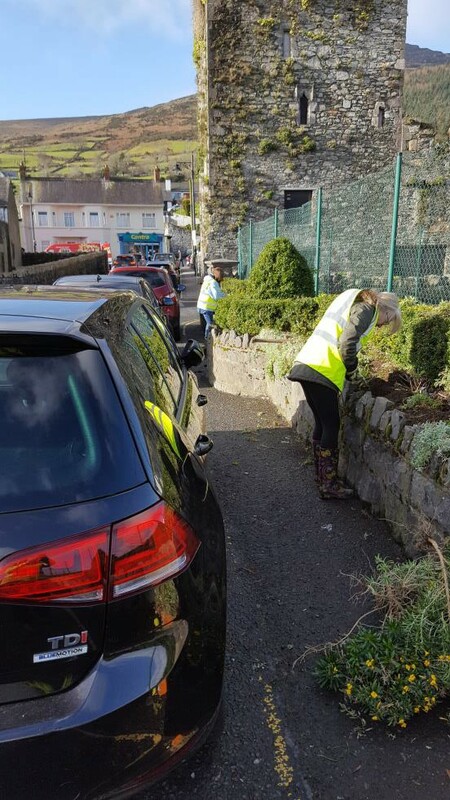 Carlingford Tidy Towns have set up a standing order form to enable individuals, small business and B&B owners to give regular contributions to our cause to make this town an even better place to live and work. Several individuals already make donations to CTT throughout the year to assist us in our work and we acknowledge their financial support. Contributions may be made monthly, quarterly or annually. We suggest a minimum sum of €10 per month for individuals and €20 per month for businesses. Forms can be obtained from committee members. Alternatively, please email our treasurer joei.orouke@gmail.com for more information. Once the forms have been filled in, this scheme has the advantage of relieving us of unnecessary bureaucracy whilst enabling CTT to be certain of a regular income, thereby allowing us to plan future projects etc. It will also relieve us of the onerous task of collecting donations in person in the future. 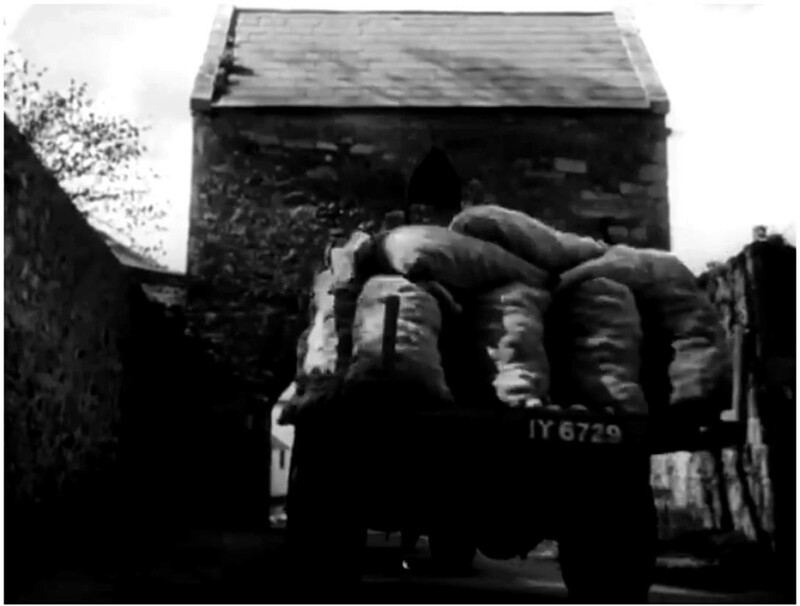 Bringing the tatties home from the fields. If you run a local community group and would like to advertise your past or future events in this newsletter, please contact the undersigned. and I will ensure they are brought to the attention of the appropriate committee.